they add their own commentary and spin to what they curate. Every edition of their newsletter, every blog post, every social media share is chosen for a specific purpose and reviewed by a human before it is shared.In other words, these sources curate their content like museum curators. They aim for quality rather than quantity. They rely on themes to group and organize their content. They often explain why something is important, or why they felt it was worthy of inclusion.They are discerning collectors.These are definitely not the only great examples of content curation examples, but they are at least some of them. We hope you’ll add your own favorites to the comments section below. If any curator meets the criteria of ‘discerning collector’, it has to be Maria Popova. Many of you will already know her incredible site, Brain Pickings. But just in case you haven’t come across it yet… well, you’re in for a treat.Many people consider Popova a master curator – someone who practices the art better than anyone. And so even if you have come across her work before, it’s probably worth your time to go review it again. 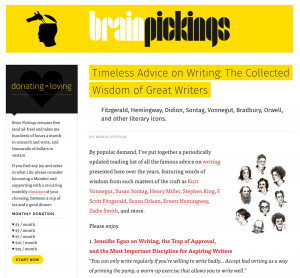 Want just one key lesson from Brain Pickings?It’s this: The quality is first-rate. Popova’s blog has been inducted into the US Library of Congress. She is an MIT Futures of Entertainment Fellow. Anything she writes or shares can be trusted to be worth reading.Anything you share or publish should be worth reading. Always. Your followers must be able to trust that. user generated content is having quite the run right now.Sites with lots of active contributors tend to live longer and earn more money than solo-driven projects. The tagline for this blog/publication is “We read everything. 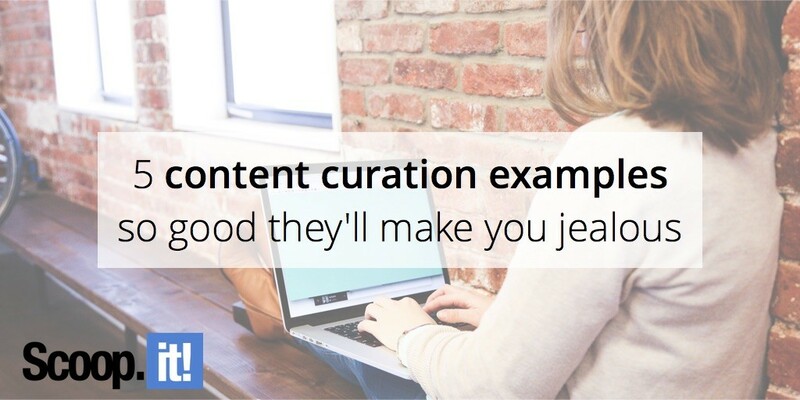 You get what matters.” This is, of course, the definition of curation – you do the legwork so your followers don’t have to. 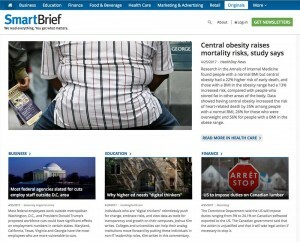 SmartBrief is also a good example of business-oriented curation. Its editors add less depth to their commentary than Brain Pickings does, but they do add those paragraphs you see next to the images on the home page.That’s all they add, though. Click on any of those articles and you’ll be brought to the website that originally published them – Bloomberg, InsideHigherEd.com, HealthDay News.This is interesting almost as much as a business model as it is an Editorial policy.As you know, in any industry, there’s a slew of publications that pop up to cover what’s going on. These industry publications are usually alright, but honestly… they aren’t going to win any global awards for exceptional quality.Still, they’re good, workaday magazines and sites that convey newsy information for readers interested in a particular niche.What if you got rid of that model, and went full-on curation like SmartBrief has done here? You could potentially pull off a similar quality reading experience, but with maybe a tenth as many writers and editorial staff… and still have an excellent industry publication. They’ve got an app. It’s cool. And given how curation often lends itself to shorter content, it’s kinda surprising there aren’t more apps with curated content. Maybe the next time we make a list like this, it’ll be a list of the best curated content apps. 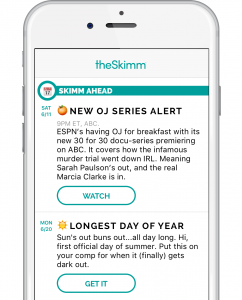 Every piece of Skimm content is shareable. With two clicks. 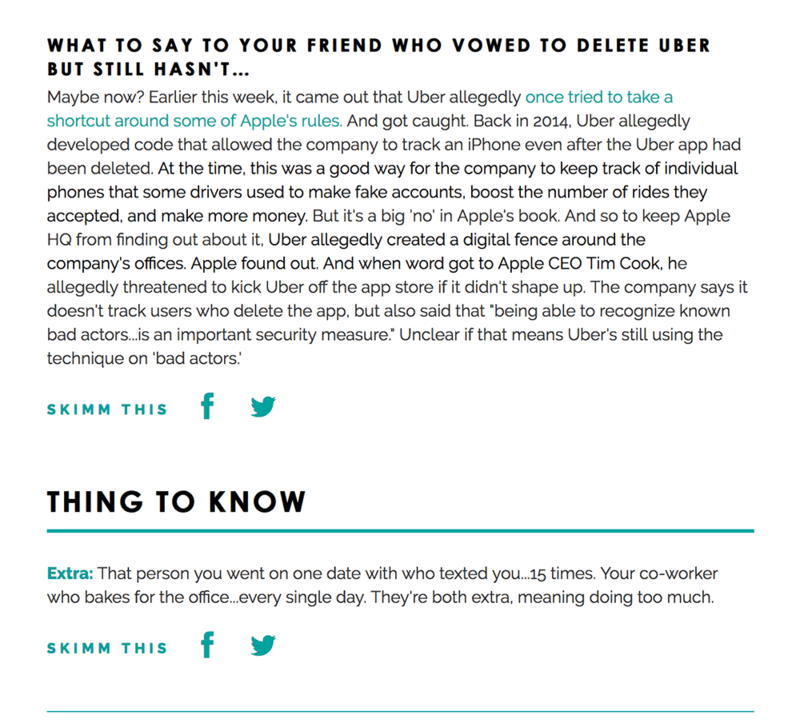 They have Skimm’bassadors. 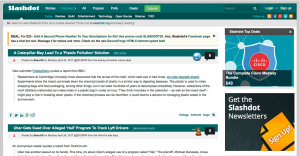 Remember how Slashdot lets its audience participate? The Skimm has expanded on that. They recruit their biggest fans to help spread the word about The Skimm, to bounce ideas off of, and to get Skimm swag. increase your search engine traffic (if done correctly) it’s an ideal way to gain more reach for your product, brand or ideas.But curation is also an excellent way to get more return on the work you’re already doing.We are all consuming and searching for content all the time. Our jobs require us to stay up to speed. Our interests drive us to stay up to speed. So setting up a curated blog, or newsletter, feed or app is just another way to leverage work you’re already doing.It also just happens to be an awesome way to build an audience. 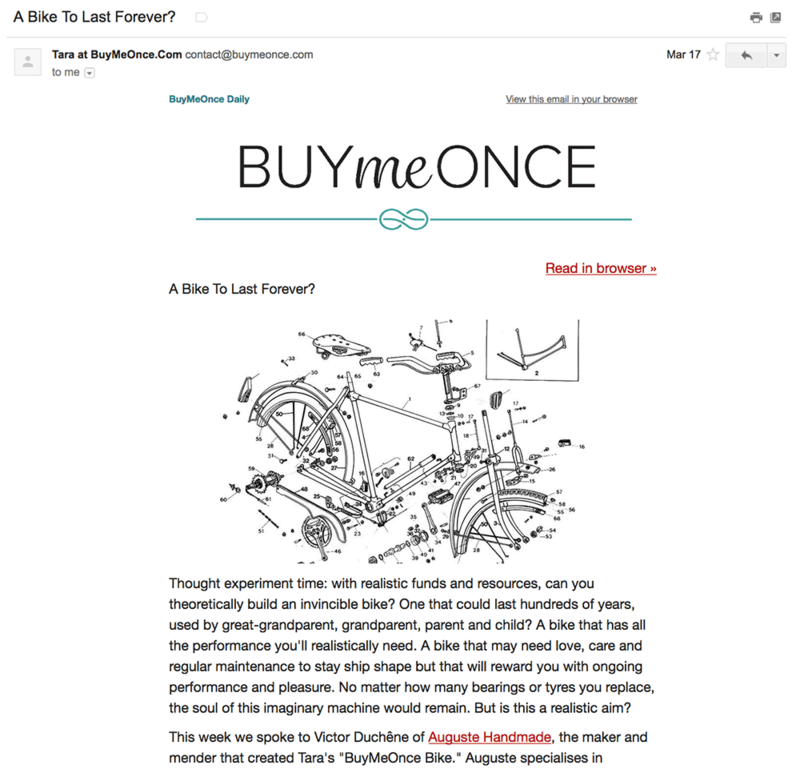 What are your favorite curated newsletters, blogs, feeds or apps? Give them a shout out in the comments.